Jenrry Mejia could break camp on the big-league roster according to manager Alex Cora, Pete Abraham of The Boston Globe reports. 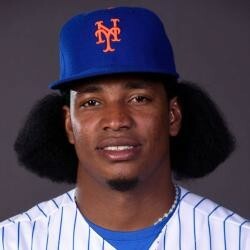 Mejia is attempting to make a comeback after being reinstated from his lifetime ban for testing positive for performance-enhancing drugs on multiple occasions. Mejia has not pitched in the majors since 2015 with the Mets. His best season came in 2014 when the 29-year-old reliever was the closer in New York and had 28 saves. Mejia could have an outside chance of getting the closer role with the Red Sox if other candidates fail and he shows he can still get out major league hitters. Fantasy owners should keep an eye on Mejia.